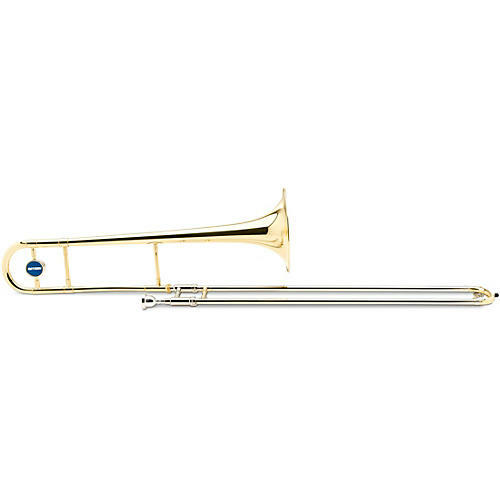 The Getzen 351-MP student trombone receives the same construction techniques used to make Getzen Custom Series trombones. The most important thing is the slide which is nickel silver inside and chromeplated to ensure that it stands up to the test of time and heavy use. Also, each of the trombone's tubes is barrel-shaped to ensure smooth, fast action. the 351-MP trombone's smaller bore makes it easier for student players to support a tone. Key of Bb. .500" bore, 8" bell, chromeplated nickel silver inner slide, nickel silver outer slide, lacquer finish. With 5-year limited warranty.